The Bolle TRACKER Safety Goggles provide protection from all mechanical risks and also chemical risks. 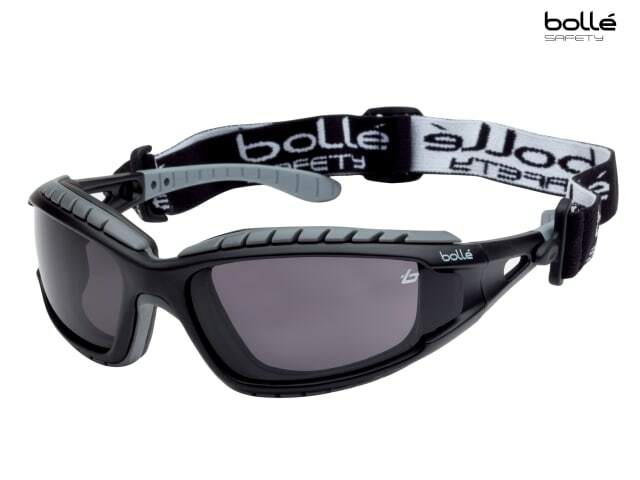 The goggles are very comfortable, and have a removable adjustable strap for secure fitting. The foam reinforcement is also removable and provides indirect ventilation. Protection is offered from above, below and sides. 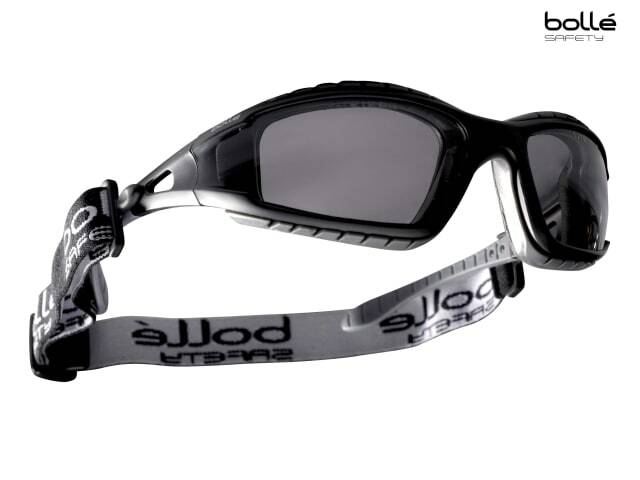 The lenses have an anti-scratch and anti-fog Platinum Coating. Resistant to medium energy impacts (121m/s). Lens: EN1661BT/EN172-Solar 5-2.5. Anti-scratch and anti-fog.